Thanks to the growing trend of selfies these days, most people have become conscious about their smiles. Everyone wishes to flaunt a bright, white, and healthy smile when the high-resolution selfie camera is focused on the face. The need to have a perfect smile when in front of the camera and while socialising with people has increased the popularity of teeth whitening treatments. Teeth whitening treatments involve the application of bleaching solutions to the teeth to attack the stains. Using a whitening solution in the right manner can restore the white colour of your teeth in a short period of time. More and more people are opting for teeth whitening treatments to deal with the staining of teeth that occurs due to various reasons. Right from our eating habits to our lifestyle habits, everything affects the appearance and health of our teeth. 1. Drinks like tea, coffee, and wine. 2. Smoking or chewing of tobacco. 3. Poor dental hygiene lacking adequate brushing and flossing. In order to deal with discolouration of the tooth, a person can opt for a teeth whitening treatment that can either be done at home or at the dentist. Most dentists offer a standard teeth whitening treatment that may or may not involve the use of a halogen light. The dentist will first apply a protective layer to your gums to avoid the whitening agent from coming in contact with your gums. After placing the protective layer, the dentist will paint the teeth whitening agent to the surface of your teeth. The whitening gel used depends on the condition of the teeth of the patient. The dentist will either use a carbamide peroxide-based solution or a hydrogen peroxide-based solution. After this, the dentist may suggest opting for halogen light that helps in accelerating the whitening gel and breaking down the stains quickly. In this case, if a patient opts out of this, he or she may have to return to the clinic for multiple sessions to get the desired result. There are many teeth whitening home kits available on the market. The products available in every kit may be different. However, some products commonly included in home kits are whitening strips, mouth trays, whitening toothpastes, and mouthwashes. Whitening strips need to be peeled from the backing like a Band-Aid and pressed upon your teeth. The strips contain whitening gels that get on to your teeth and begin to work on the stains. The mouth trays available in home kits are usually made of a flexible material that adapts to your teeth. These trays either come pre-filled with a whitening agent or with syringes of whitening gel that can be dispensed when required. The mouth trays fit around your teeth firmly, allowing the whitening gel to come in contact with the surface of your teeth. Whitening toothpastes and mouthwashes are usually included in home kits to maintain the achieved whitening effect. Home kits are readily available on the market. They give you the freedom to whiten your teeth right from the comfort of your home. You can purchase such kits from any local pharmacy near you. On the other hand, in-office treatments require you to book an appointment with your dentist and visit him or her at the scheduled time. As at-home treatments need to be done on your own, you may have to invest a lot of time and effort in understanding and doing the treatment. Also, there are chances of you not achieving the desired results due to the incorrect usage of the products provided in the kit. On the other hand, when you visit a dentist, he or she will take care of the entire treatment, ensuring you get great results in one go. Though you may have to take the effort to visit the clinic personally, the results that you will achieve from an in-office treatment will be worth it. In-office treatments are sure to get you better results that last longer. This is mainly because the dentist will examine your teeth carefully and depending on their condition suggest a whitening treatment. If the patient has sensitive gums, then the dentist will recommend a treatment that whitens the teeth without irritating the gums. Also, before beginning the treatment, the dentist will prepare your teeth for the procedure by cleaning away the plaque and debris. Home kits are designed to be generic. You cannot expect a home kit to provide a customised treatment depending on the condition of your teeth. For example, if you have braces or dental implants, the at-home kit may or may not work well for you. However, when you visit a dentist, he or she will examine your braces or implants and suggest a treatment that will surely get you great results. When using at-home teeth whitening kits, it is essential to follow the instructions given on the pack. As the treatment is being carried on by individuals without the guidance of an expert, safety is the biggest concern. There are chances of the home-kit containing a high percentage of bleach. Though a high percentage of bleach is important to get the right effect for your teeth, misusing it can damage your teeth or gums. On the other hand, one thing to when comparing dentist vs home, when a dentist uses products with a high concentration of bleach, he or she has complete knowledge on how to use it. Hence, the dentist is in a better position to get the treatment done for you. Opting for an at-home kit having a low percentage of bleach is not a solution either, as such kits will not give you the desired result. Many DIY whitening kits from various brands are available on the market. The approximate price range for these kits is from $50 to $150. The price of each kit may vary, depending on the percentage of bleach present in it. The higher the percentage of bleach present in the whitening gel, the higher the kit will be priced at. The teeth whitening dentist cost is expensive compared to what you pay for home kits. On average, the cost of a teeth whitening treatment at the dentist is somewhere from $350 to $800. Also, there are chances that a person may be suggested to take multiple sittings of the treatment if the condition of the teeth is too bad. Winner: In-Chair Treatments Or At-Home Treatments? At-home treatments are cheaper when compared to the in-office treatments. However, the results obtained from the latter are more effective. Though you make little investments in buying a DIY whitening kit for yourself, the chances of it giving you professional-like results are also minimal. As you have to use the kit on your own, there are chances of inaccuracy as well. When using the whitening strips or trays in the kit, if you fail to place them correctly, the whitening gel will only partially cover your teeth. There are high chances of the corners not being covered by the strip, thus giving you inconsistent results. 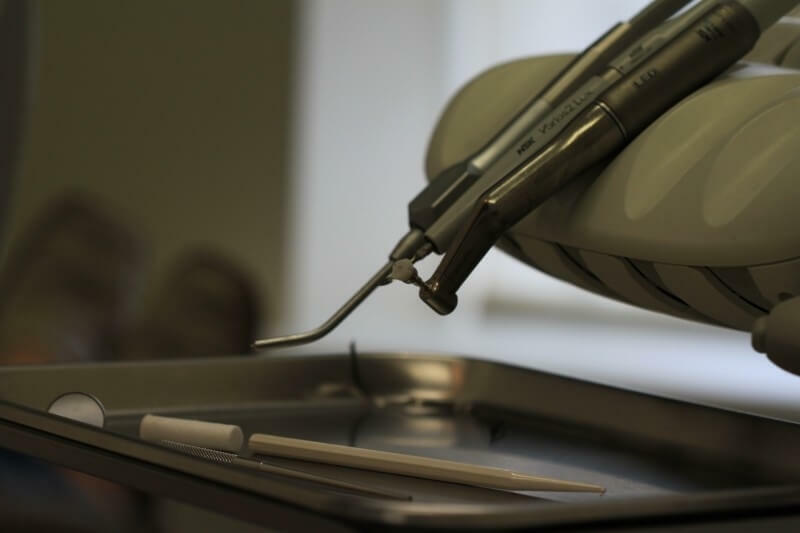 As far as in-office treatments are concerned, the dentist will examine your teeth thoroughly. After this, he or she will provide a treatment that best suits your requirement. As the treatment will be carried out by an expert, the results are sure to be of professional level. Also, you may have to make repeated purchases of the DIY whitening kit as its effect may fade away quickly. On the other hand, the result of professional teeth whitening treatment will last for longer, and you will not have to visit your dentist again and again. To conclude, we can say that the at-home teeth whitening treatments are effective to a certain degree. However, they cannot help in achieving results comparable to those achieved by a professional treatment by the dentist. It is also important to know that no whitening treatment, whether done at home or at a dental clinic, can help in producing permanent results. There are chances of the stains building up gradually. However, how quickly these stains build up depends on your choice of the whitening product used for the treatment. To maintain the effects of the teeth whitening treatment, one must follow an oral hygiene regimen that includes daily brushing, flossing, and rinsing. You may also consider visiting a dental professional for routine cleanings at least two times in a year. The best thing you could do to avoid staining of your teeth is to prevent excessive use of products like coffee, tea, wine, soda, and tobacco. Book an Appointment for Teeth Whitening Treatment Today! If you want more details on teeth whitening treatments, call (03) 9311 1056 you can get in touch with us or contact us online today. We are just a call away from you!